There are so many reasons why private training is a great way to accelerate results in your bid to achieving your fitness goals, whether you want to change your body composition, improve your performance is a specific sport, or to train for a specific event. 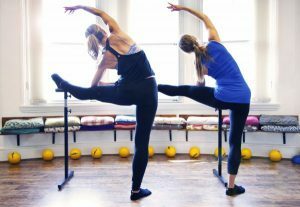 Here, we’ve put together the main reasons why topping up your regular classes at the barre with a private session with one of our senior instructors will give you the edge! 1. Understanding movement patterns and improving body awareness are vital for taking your workouts to another level. Working out on a 1/2/1 basis gives you the opportunity to ask questions about specific exercises and gives your Instructor the opportunity to tailor an approach specifically to you. Often the ‘key’ to unlocking certain positions or movements is not about strength, per se, but about opening up pathways between the brain and the body. Once we get you to think about your position, alignment or movement differently, you will execute it at a more advanced level. Think about it as a chance to learn about your body and our methods, then to shift your perspective in order to achieve your goals. 2. Avoidance of injury or injury recurrence can often be a reason to add a private workout into your weekly or monthly schedule. We can modify certain movements, work deep into the areas of the body that will support your journey back to full strength. Giving you the tools (and understanding) to apply this to your group classes, or other activities outside the Studio. Barreworks for Rehab is a specific programme developed with Olympic Physiotherapist Katherine Ready and our Founder Vicki Anstey to help clients back to full movement from a period of physiotherapy or rehabilitation. The reassurance of working 1/2/1 through particular sequences, beginning to train with resistance or load, or simply re-gaining confidence in movement is invaluable. 3. Private tuition will not only help you set realistic goals that you will be able to achieve, but they will also be able to keep you on track to hit those goals. Your instructor will encourage and monitor your progress and make any necessary changes along the way. We will check in with you after each session and adapt the content of your workout as we go, to ensure that you continue to make progress and that we keep goals achieveable, but designed to challenge you to the highest possible level. 4. Guidance and support. Our team will challenge and motivate you to get out of your comfort zone in a way that you might never do working out in a group environment or on your own. We want to inspire you and find ever-changing ways to increase the challenge as you progress. But we’re also here to support you with your overall well-being. We frequently work with clients to help relieve the effects of stress on the body, anxieties and fears you may have – often we don’t even know that these things can be barriers to exercise. By working on posture, body awareness, talking through and working through perceived limitations, we help you to improve your confidence, which has a huge effect on how (well) your body moves. Some of our greatest success stories have shown that just a small shift in self-confidence can have a dramatic effect on physical strength and movement. 5. Finally, think of a private workout as a treat for your body. And at a time that suits you, a time of the week you really look forward to. Think of it as an investment in your health, a pleasure, not a chore! It is scientifically proven that we commit more to an exercise regime that we actually enjoy. And it’s when you commit to that regime and make it a habit, that you start noticing the changes. Private workouts at Barreworks are fun, interactive, challenging and each one different to the last. Our coaching will nurture you as much as it pushes you closer to your goals and guarantee that you leave with a smile on your face! Single Private workouts at Barreworks are £75. You can purchase packages of 5 or 10, for £350 or £650. All Monthly Subscribers, Annual Subscribers and Gold Members benefit from 10% off all private workout credits. Email us to find out more and to request a time, preferred Instructor and to chat about your specific needs.